Enamel has been ruling the fashion world for quite a while now, making its way everywhere from watch bezels to hair pins. There are many affordable replicas of enamel jewellery on the high street, but as it’s Christmas coming up, it’s worth considering an upgrade and getting the “real” thing. What is the real thing anyway? That’s a very fair question. Drawn (“fake”) enamel is created by applying one layer of ink with gloss on top which wears off quickly. Real fire enamel is always hand-made by meticulously building up multiple layers under extreme heat (hence the “fire” name) until it’s strong enough to last practically a lifetime. The secrets of this technique are carefully guarded by artisans, so each piece of jewellery is a little miracle. OK, sounds good, where do I get it? 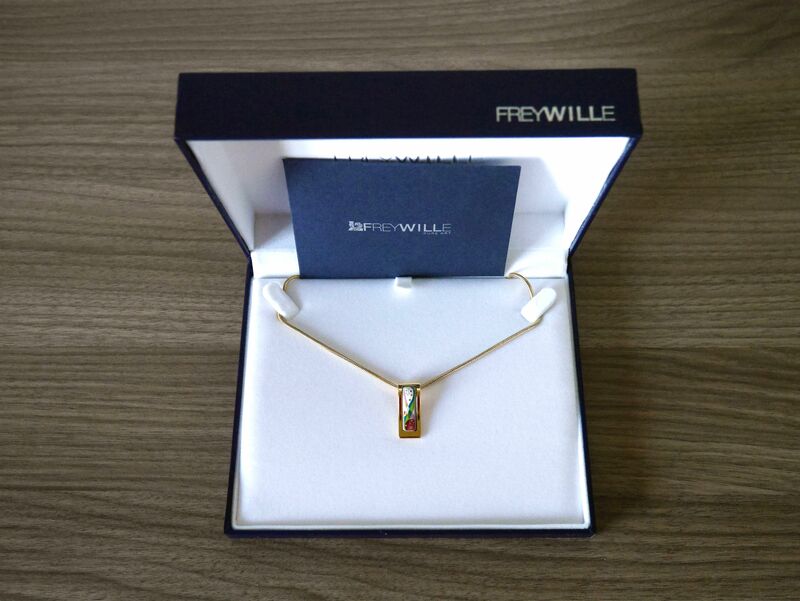 My personal recommendation would be Freywille, a niche Austrian brand, which has created the new “glowing” enamel technique. They are famous for their distinct gold plated jewellery that has a special glow to it. It’s much brighter than standard gold jewellery without being over-the-top, and it suits every skin tone. 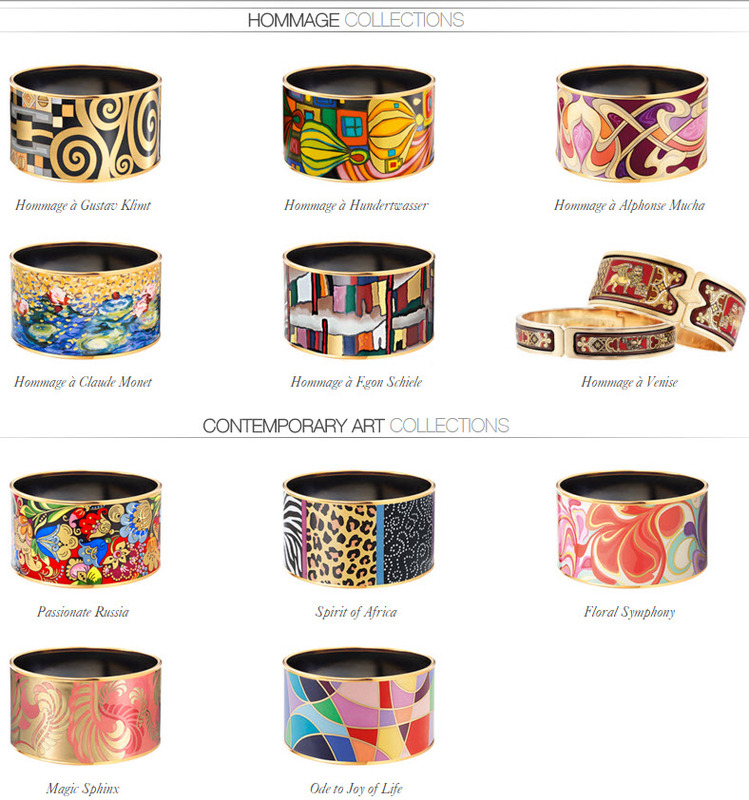 On top of that, Freywille designers take inspiration from art and history, creating mesmerising patterns, like these beautiful bangles. So it must be expensive? It certainly isn’t cheap, but the gold plated collection starts from about £300 for pendants and rings, like the one from my personal jewellery collection (also a gift). For those with bigger budgets can go for Freywille’s fine jewellery made from solid gold and diamonds, which can go up to £10,000. All pieces come in beautifully crafted navy boxes with a quality certificate.